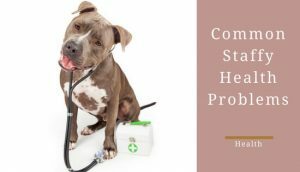 Melatonin for Staffies - Is Melatonin Good for Dogs? Staffordshire Bull Terriers are a very loyal breed. We all know this; however, it also means they’re prone to anxiety issues. With this in mind, some staffy owners have turned to a naturally occurring hormone called Melatonin. The question is whether melatonin for staffies is a worthwhile supplement. This hormone is available in supplement form all across the world. However, as a dog owner, it’s essential you understand what this hormone is before you give it to your dog. And that’s what this article will do. It will give you all the necessary information about Melatonin for dogs that you need to make an informed decision regarding its use. 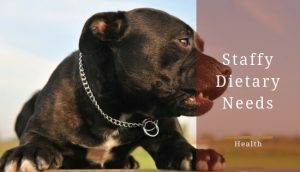 After all, any owner should want to be fully informed about everything that goes into their staffy’s body. 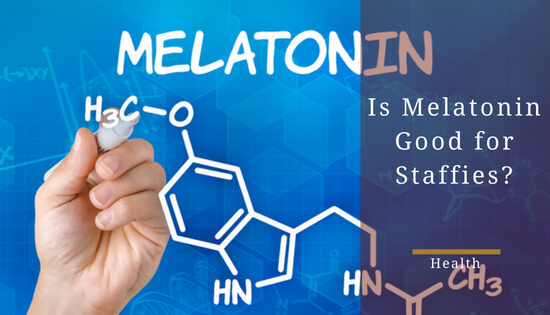 As stated before, Melatonin is a naturally occurring hormone produced by both animals and plants. Within both animals and plants, Melatonin cultivates a sensation of calm and relaxation. Due to this, companies have manufactured Melatonin, which is either collected from animals/plants or made synthetically, into supplements. In humans, these supplements are mainly used to help them sleep better. You might be surprised to learn that the synthetic Melatonin supplement is safer for your dog. See, the so-called “natural” Melatonin supplement has a small risk of containing a virus; therefore, we recommend that dog owners stick with the synthetic Melatonin to ensure this virus won’t be an issue. This synthetic Melatonin comes in four primary forms, each of which is available in pharmacies around the world: 1mg, 3mg, 10mg, and time released. It’s you and your vet’s job to decide, which available option is the best for your circumstances. 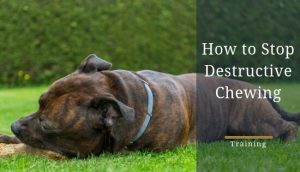 Now, that we understand what Melatonin is, it’s time we discuss the uses and side effects of giving this supplement to your staffy. However, it's essential you don’t give melatonin to your dog without talking with your veterinarian first. 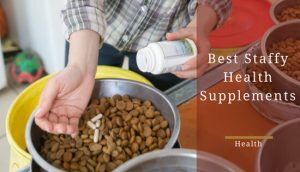 Even though it has minimal side effects, it’s still not a great idea to give your dog a supplement without a vet consultation. Honestly, you never know how your staffy will react to a new substance entering their body. Therefore, it’s always a good idea to ask your vet before giving your dog any new supplements. If you see or notice any of these side effects happening to your dog, stop the Melatonin regime immediately. No benefit is worth making your dog’s life uncomfortable. 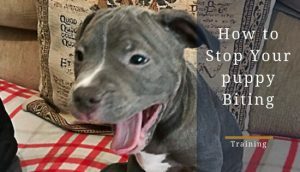 How Much Melatonin for Staffies? 1mg per 20 pounds is the standard dosage. You can repeat this dosage up to 3 times a day or every eight hours. This dosage is the standard most vets go by when subscribing Melatonin. So, let’s use a 35 pounds staffy as an example. In this case, a half of a 1mg pill and one full pill would be the correct dosage. Melatonin supplements are a useful way of getting extra melatonin for your dog. Standard melatonin supplements that are consumed by humans should be perfectly safe for your dog as long as they do not contain any other ingredients that could be harmful. Be sure to check labels. You can also purchase supplements specifically for dogs that contain melatonin. 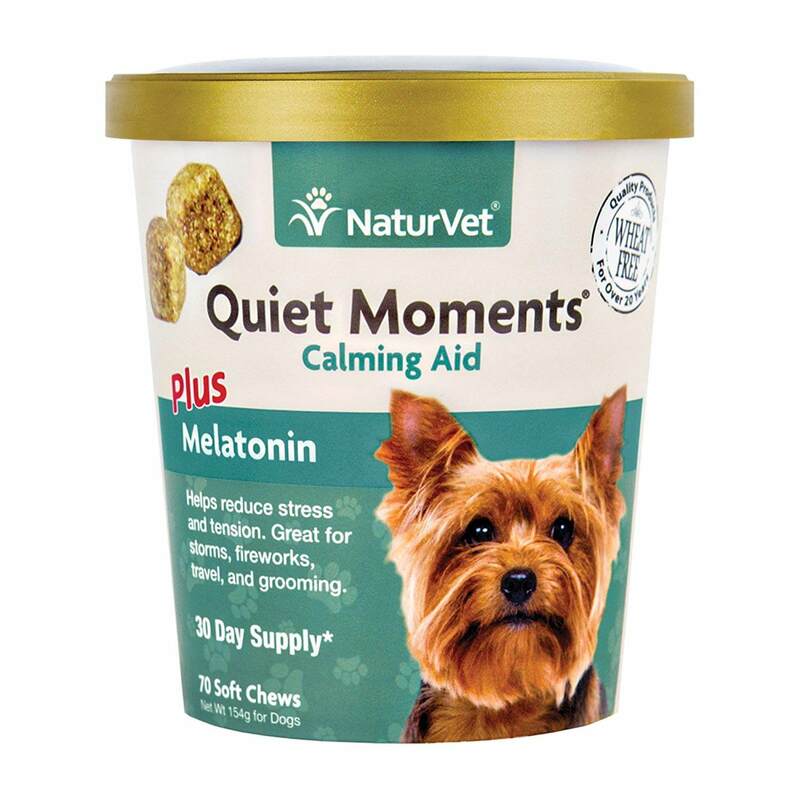 These treats: NaturVet Quiet Moments Calming Aid, contain melatonin as well as some other ingredients to help calm your staffy. 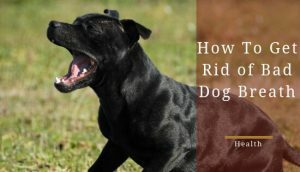 The bonus of the above supplement is that they were specifically designed for dogs so you shouldn’t need to worry about them containing subatances that might harm your staffy. Supplements can be a great way to boost your dog’s melatonin levels but they aren’t the only method. As you probably suspected, certain foods can provide your dog with Melatonin. The foods that contain the highest amounts of melatonin generally come from fruits, vegetables and grains. The following list of fruits and vegetables are great Melatonin sources, but it’s essential you refrain from making the dietary staple. As with any human food, these foods should be only used as a treat or a way to spice up your dog’s diet. With all these foods, one thing to remember is moderation. For example, there’s no reason why you should give your staffy a whole banana. Instead, slice them into small portions and add them to your dog’s regular food. Unfortunately, there are some Melatonin producing fruits and vegetables that aren’t safe for your staffy. The Melatonin producing fruits and vegetables listed below are dangerous for your dog to ingest. You should avoid them at all costs. If your staffy ingests one of these foods, contact a vet immediately. Even in small amounts, these foods have shown to be fatally toxic in some instances. Unlike certain fruits and vegetables, there aren’t grains that are known to be unsafe for dogs. However, some dogs do have grain allergies. 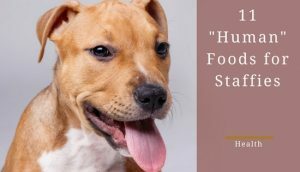 Due to this, it’s essential you ask your vet about your staffy’s diet before introducing these foods. Overall, Melatonin can be a wonderful addition to your dog's diet, especially for staffies. As you know, they’re prone to anxiety issues. Therefore, whether they get it from supplements or food sources, melatonin can offer them some sense of calmness. But this still isn’t a decision you should take lightly. 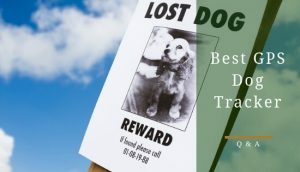 In fact, this is something you should discuss with your vet because there are some side effects. And that isn’t something you can ignore.